Lenore Fusciello Baker, ACE certified, found her health and fitness career by way of American University, where she majored in International Relations! In her senior year, she realized she had completed all the requirements for her major, so on a whim, she took classes in fitness instruction and health promotion. Her life course was changed forever. She began working at various corporate wellness sites teaching classes, private sessions and assisting with health promotion initiatives. Lenore went on to get her masters in Human Development at UMD, College Park, and continued teaching a variety of classes while raising her three children. When her youngest headed off to Kindergarten, she went on to become a health and lifestyle coach. In February 2016, Lenore completed her 200-hour yoga teacher training through Grace. The experience was transformative. It deepened her own practice and connection to yoga, while reigniting her passion for teaching. Lenore's style is creative, fun and compassionate. She draws from her deep desire to help each student discover and celebrate their strength, their grace on and off the mat. Liz Berger is a social science researcher by day and a Group Fitness phenom by night. Her specialties include Pilates, Barre, High Intensity Interval Training (HIIT), and strength conditioning. Liz first began practicing Pilates over a decade ago as a way to improve her performance as a competitive runner, and has since become passionate about workouts that focus on the connection between the mind, body and spirit. She has been teaching Group Fitness since November 2015 and is currently working toward a Pilates personal training certification. What Liz really loves about instructing is making connections with students and inspiring others. In her spare time, Liz also enjoys doing yoga, weightlifting, and volunteering for the COPD Foundation. Amy (E-RYT, 200) first found yoga in 1992 while she was teaching fitness classes part time. Initially, she was drawn to the freedom of expression and strength she felt in the physical movement of each asana. Over the years, her yoga practice has evolved and supported her through self image issues, hypothyroidism, her pregnancies and caring for her dear family. She greatly connects with the solace and liberation within yoga. Amy began teaching vinyasa influenced classes in 2009 after receiving a teaching training with YogaFit. In 2011, she completed a 200 hour teacher training with Aura Wellness Center. Amy marvels at the beauty and power of each of her students. 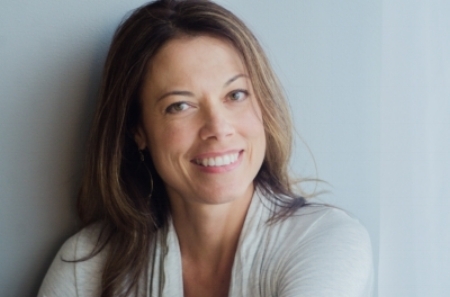 She strives to use yoga as a vehicle to help people discover an inner smile and fire. Her classes are fluid, yet easy to follow. Amy's goal is to help each person find their unique strength and purist expression. She continues her yoga studies with Ashley Litecky and is so thankful to her, and all of her dear teachers, for their unique guidance and inspiration. Her hope is to live harmoniously with her yoga so that she may share and experience yoga every moment of the day, on and off her purple sticky mat. Lika’s dream came true when she completed her 200-hour Yoga Teacher Training in Washington DC, becoming a full-time yoga teacher. Initially Lika ( E-RYT 200) was drawn to yoga as a way to maintain her flexibility and strength but was intimidated by yoga's spiritual and scholastic side which she did not find in previous experiences with ballet and modern dance. After a short time however she discovered the power of yoga as a path to a more balanced, compassionate, meaningful and happy life. Lika's training is diverse and continuing. She has taken countless workshops and trainings in different styles of yoga including Vinyasa Flow, Prana Flow, Ashtanga, Rocket Yoga, Jivamukti, Kids yoga, Aerial yoga, Yoga Nidra, Meditation and Restorative yoga. She has studied under the guidance of well known instructors such as David Williams, David Swenson, Shiva Rea, David Kyle, Tara Brach, Elena Brower and others. Lika continues to evolve as she sees herself in the position of a student and a practitioner first and only then a teacher. 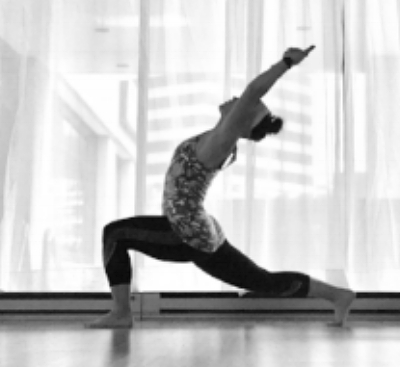 Susie first found yoga while completing her clinical rotations as a dental hygiene student. Her day started with a ten minute yoga practice led by her teacher before seeing her patients. This helped balance her day, and gain better posture. As Susie’s hygiene career kept growing, so did her love for the practice. Yoga became a daily essential which lead her to complete her teacher training at Grace Studios. A wanderlust at heart, Susie enjoys traveling all over the world for new cultural experiences and includes yoga in her adventures. Finding a yoga studio during her travels is a must. This allows Susie to bring other cultural yoga practices to her students, and will eventually lead to teach abroad. Susie believes that music is a universal language, and enjoys creating playlists that include a diverse range of genres. As her student, you can expect bumping beats fused into a vinyasa flow to connect your breath to movement in a very rhythmic way. Kelly discovered yoga in college around 2007, initially doing it for exercise and then discovering the amazing mind body connection through movement. As a physical therapist, she enjoys that yoga is so versatile that it is accessible to anyone. Her teaching style is enthusiastic and playful but also focuses on stability and alignment to allow students to find their edge safely. She has an interest in working with children and teenagers on stress management, anxiety, body awareness and on being in the present moment. She completed her 200 hour training at Sky House in 2014. Sun started practicing yoga regularly in 2007 in pursuit of a healthier lifestyle. She was immediately drawn into it, noticing the transformations she experienced in her body, mind, and heart. She is an E-RYT (Experienced Registered Yoga Teacher) and has studied with numerous master teachers such as Jason Crandell, Tiffany Cruikshank, and Natasha Rizopolous to expand her practice and teaching skills. Sun leads breath-focused, challenging vinyasa sequences while reminding students to deepen and nurture their practices with safety and alignment in mind. She invites students to gaze inward and empower their physical, mental, and emotional bodies through the connection of asanas (poses) and pranayama (breath). When off the mat, she fosters and molds the minds of local elementary school students as an ESOL teacher in MCPS. Athletics, fitness and wellness have always been a part of my life. I played a variety of sports growing up and coached elementary aged girls in basketball for almost 20 years. I have spent almost my entire life here in Silver Spring. After having kids I got into running with a group of friends. Running has become a new passion of mine in the past 10 years. I have always known the importance of cross training and so I would often try and encourage friends and family to mix things up when it came to a fitness program. I have a love for strength training and yoga too. The natural skill I had to coach led me to pursue a career in personal training through National Sports Professional Association in 2013. I began teaching small group fitness classes privately and out of my home as well as working at a Personal Training Studio in Bethesda, Fitness Together. My love for coaching is what helps me motivate my clients to work to their fullest potential and to help them meet their personal goals. I love the one on one support I can give to clients by providing personalized programs but I have to say the group classes are fun and exciting for me! I love the energy a class can bring to a group of people and I love the team building that goes along with it. See you in class soon! Krista discovered yoga eight years ago as a mother of two young children and a frequently deployed husband and is forever grateful for that discovery. She loves the beauty and joy found in and through yoga and the peace that continues on and spills over through life. Through moves, job changes, and eventually moving away from military life the love for yoga stuck with her. She teaches an alignment-based Vinyasa style Hatha class and will frequently be found telling her students to "listen to their own bodies." Krista teaches a joy-filled class and always loves when her students leave a little more peaceful and relaxed then when they came in. On the weekends you may find Krista going on bike rides, hikes, or cross-country skiing with her husband and kids. Krista received her RYT-200 through Sky House Yoga and is so grateful for her teachers and all she has learned through them. Movement and fitness have always been an important part of Suzanne’s life. She danced and swam her way through her childhood and adolescence in Seattle. This has continued into her adult years as she maintains her yoga practice and runs many days of the week. When Suzanne found vinyasa yoga, she was immediately drawn to the balance between the physical challenge of the postures, and the deeper intellectual challenge of uncovering the spiritual and philosophical background that give them meaning. She decided to make her vinyasa practice a regular part of her life, steadily exploring breath and movement, and playing and growing with her practice as her children grew. Suzanne earned her 200 - hour certification in 2011, and many teaching hours later is thrilled to be teaching at Grace. In her class expect a great playlist, and an active, well - sequenced flow that allows you to experience strength and openness in body and mind. Jade has received the gift of practicing yoga for over 15 years. The time spent on her mat has helped her through the most rewarding and challenging times in her life. She transitioned from teaching 5th graders in Washington DC to teaching vinyasa in local gyms, corporate settings and privately. She enjoys sharing the knowledge that she has acquired and she is eager to grow as a student. Jade is a firm believer that yoga is for all and should be taught with care, safety and respect for the practice. Introducing others to yoga is up there as one of her all time favorite things. Her 200 hour training was at Yoga District and she continues to study through a teacher apprenticeship at Skyhouse Yoga. Michelle (RYT 200) began her yoga practice when she was pregnant with her second child 16 years ago and it has served as indispensable part of her life through her career as a corporate attorney and busy mom. She made the transition to full-time yogi and founded Grace with Lenore in 2014 after being inspired by many local teachers and a desire to share the many benefits she has received from her yoga practice with her community. Michelle was part of the inaugural 200 Hour Yoga Teacher Training Class of 2015/16 and is honored to have the opportunity to lead classes and workshops for her friends and students at Grace. For Amanda, the practice of yoga is a return home, a chance to reconnect to her body, mind and spirit, and an opportunity to feel safe, secure and grounded in her own being. She loves designing and practicing strong, dynamic sequences that open the body and quell the over-active mind. Amanda takes a playful and affectionate approach to the practice, and loves to hold space for, and witness, the same elation and freedom that can be unlocked and nurtured within each student. Originally a skeptic who “didn’t do yoga,” Amanda took a chance when she stepped into Grace Studios in 2015. She is forever grateful for the connection, friendship, mentorship and community that she has found through her practice, and completed her 200 hour training at Grace. Lauren has been practicing yoga since 1997 and completed her 200-hour training at Blue Heron Wellness in 2012 to become certified with Yoga Alliance. She draws from a variety of styles in her teaching and believes yoga helps us to be more ourselves. Her classes emphasize breath, grace, and the delightful intersection of effort and ease. Lauren continues her yoga studies as she works with pre-K yogis, preteens, teens and grown-ups. She lives with her family in Silver Spring. After graduating with her B.A. in Theatre Performance in 2014, her yoga mat became her haven. There she could experiment, flow, and step fully into her self. Yoga made her a better actor and a healthier person. In 2016, she earned her 200 hour RYT from her local Pittsburgh studio, Yoga Innovations, whose motto she took to heart: "Practice does not make perfect, it builds integrity." Natalie's yoga training is in power flow, but she also has experience teaching gentle flow, hands-free, restorative, and meditation classes. Now that she's back in school as an M.F.A. candidate at Catholic University's Acting program, she looks forward to bringing new theatre skills to class as well. What to expect: play. The easiest way to learn is if her students let themselves have fun. Yoga is not about maintaining an ideal. It is a practice. Her students will sweat, be confused, and make mistakes. She probably will, too. And honestly, she can't think of a more joyful start to her Monday.